Making an Autumn Tea Light Candle WreathThis tiny fall themed wreath fits nicely around a tea light candle and adds a spot of illumination to your dining table or anywhere in your home. 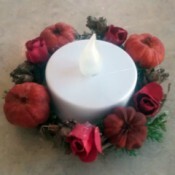 Learn how to make a autumn tea light candle wreath. 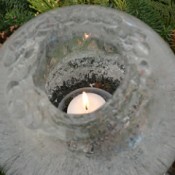 Making Ice CandlesFreeze water filled balloons to create these beautiful ice candle holders. This is a guide about making ice candles. Buying Family Christmas GiftsOne solution to the difficulty of choosing gifts for members of your extended family is to choose a gift that is given to the entire family, rather than individual ones. This is a guide about buying family Christmas gifts. Celebrating St. Patrick's DaySt. Patrick's Day originated as a cultural and religious holiday commemorating the patron saint of Ireland. Over time it has become a more widespread holiday with parades, special food, parties, music, wearing of the green, and drinking. This is a guide about celebrating St. Patrick's Day. Repairing the Blade Release Switch on a John Deere MowerIf the blade on your riding mower will not release, you have a problem that may be repairable without a trip to a mower repair shop. 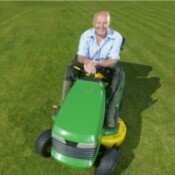 There are several suggestions contained in this guide that can assist you in repairing the blade release switch on a John Deere mower. Holiday Veggie or Fruit TreeA festive holiday centerpiece can be created with vegetables or fruits for family gatherings and parties. 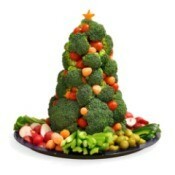 This page contains holiday veggie or fruit tree. 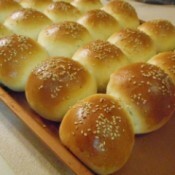 Homemade Buns and RollsA great recipe to make a big batch of soft rolls and/or buns for a variety of meals. This is a guide about homemade buns and rolls. 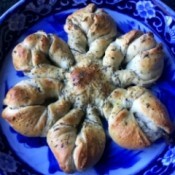 Garlic and Herb Snowflake BreadThis garlic, herb, and cream cheese filled pull apart bread is perfect to serve at a holiday meal. Add a side of marinara dipping sauce and it will disappear quickly. This page contains the instructions and recipe for making this tasty appetizer or main dish side. 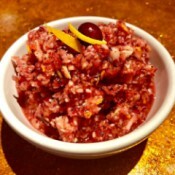 Cranberry Orange RelishI love cranberries at the table for all my holiday meals, and this is a vibrant version to serve alongside your meats and veggies. It only uses a handful of fresh ingredients with zero fuss of cooking anything down. 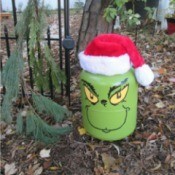 This was a hit at my Thanksgiving party, and will be making an appearance for Christmas! 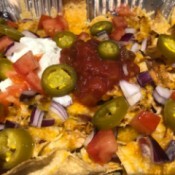 Leftover Turkey NachosUsing up your leftover turkey, or any other meat, in a big baked platter of nachos is a surefire way to keep a crowd happy. This dish is so easy to put together and makes for a great party platter. It even works great served as a main course. Helium Tank Upcycled as The GrinchI found a great way to use and repurpose my empty helium tank. They are sturdy and can be changed over and over with something as simple as spray paint. For this holiday season, I wanted to make one of my favorite characters from a holiday movie. 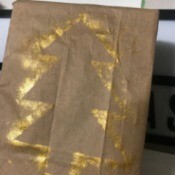 Stenciled Christmas Tree Wrapping PaperNeed budget friendly wrapping paper this holiday season? You can make your own wrapping paper by recycling items you already have at home, not only will it be thoughtful, but it'll be one of a kind! Bath Products Business Name IdeasI am launching a handmade natural bath products business - soaps, body butters, etc. 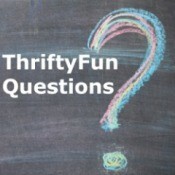 My name is Sushmitha and I am looking for a catchy brand name, including my name or the first letter. 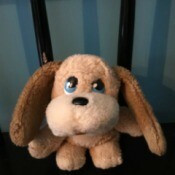 Identifying a Stuffed ToyI have had this puppy since the early to mid 80s. I remember it came in a card board shaped like a dog house with a red roof. It had little things written on the box like, "Will you take me home? ", "Rescue me", etc. There were a bunch of different puppies to choose from and I think they had even come out with kittens? Original Mirro Cookie Press RecipeDoes anyone have a cookie recipe from the original Mirro Press booklet? It called for powdered sugar and no eggs. Value of an Antique Writing DeskI have a Bayveiw Michigan writing desk with fold down front and middle drawer. It has the number 76 on it. The wood is reddish in color. How can I determine the value? 12 Days of Christmas Gift IdeasI need ideas for new parents and a 5 month baby boy, ideas for 12 days of Christmas. Keeping a Cat Off the StoveHow can I keep my cat off the electric stove? Daycare Tag Line IdeasI need help making a slogan for my daycare called Royal Youth Academy. 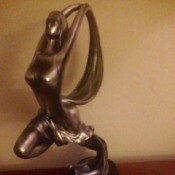 Identifying a Leonardo Collection FigurineDoes anyone know the value of this figure or name of this large ornament? Daycare Business Name IdeasI want to include my full name "Mariaelena" Any ideas? I was thinking of "Kidzville" or "Kids Village". Removing Rice Residue from Inside a Glass ContainerI cleaned the milky film inside a decanter with rice, vinegar, and a bit of dish soap which worked great. Unbeknownst to me, my husband thought this worked so well he did a repeat of the same mixture for a tiny milky spot that was left, only he left it overnight and the next day which has now left a cloudy residue from the expanded rice! My Dog Died SuddenlyMy dog was playing with the cat, fell on the floor, yelped and he was gone.